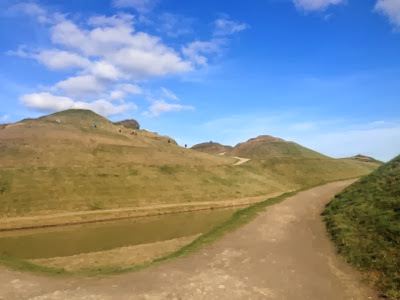 Northumberlandia (or the lady of the North) is a relatively new attraction in South East Northumberland. She is a large piece of public art set in 46 acres of parkland. There are 4 miles of walkways around the sculpture and she stands at 100 foot high. 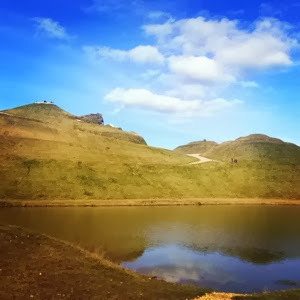 I have visited and climbed to the top of Northumberlandia before, but never with my children. 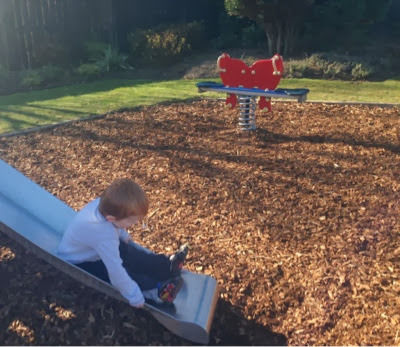 It can be quite steep in parts and I wanted to wait until I could be sure our toddler would manage it. Today was a lovely sunny day and seemed like the perfect day to visit. Northumberlandia is well signposted, just past The Snowy Owl pub (ideal for a drink after your walk). There is ample parking with a recommended donation of £2, a visitor centre with toilets open 9:30am-4:30pm and there is an exciting events programme. 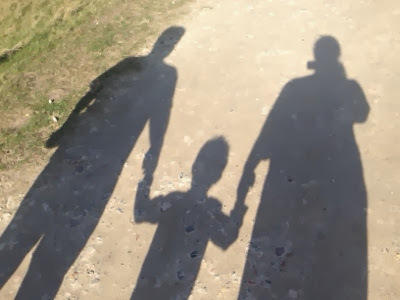 We enjoyed our walk around the site which can be steep in parts and there are some un-fenced ponds and the path can be uneven so keep a close eye on children. 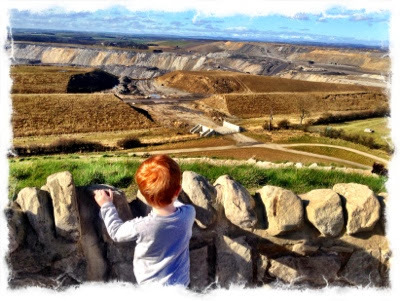 Our 3 year old managed just fine and we spent an hour walking around the sculpture, spotting wildlife, playing shadow games and watching the diggers in action at Shotton surface mine (the view from the top was fab). 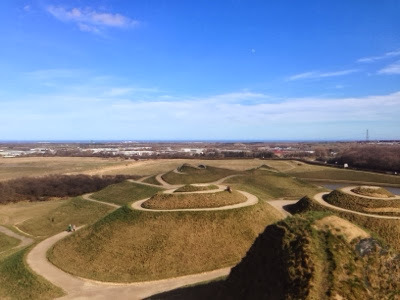 The beauty if Northumberlandia is that there are many different routes to take and there is a route for every age and ability. Our toddler was getting a little tired towards the end of our walk, so we bribed him with a trip to a park. Cafe Azure in Azure garden centre is only 1 mile away from Northumberlandia. 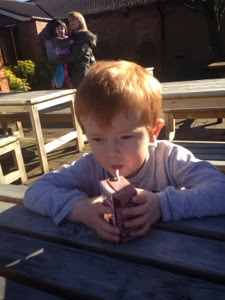 They serve lovely homemade cakes and have a fantastic enclosed play area for children. We played here for half an hour and enjoyed a drink outside on the picnic tables before leaving for home. What a lovely way to spend an afternoon. 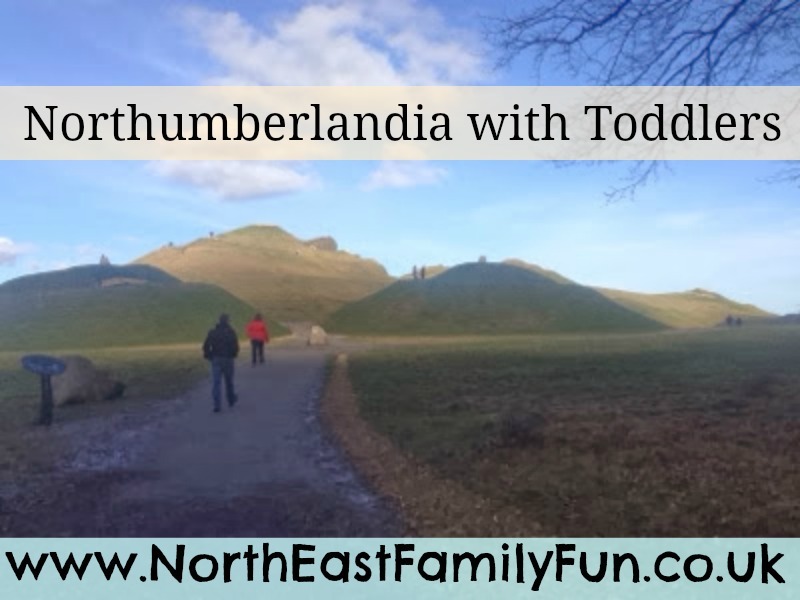 Have you visited Northumberlandia before? What did you think? 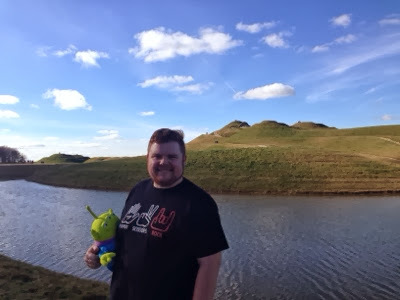 I loved Northumberlandia when James was a baby. I haven't braved it since he's bigger. I'm sure he'd love the view at the top, though I think I'll go soon with my little toddler, when James is at preschool. I've also not been to Azure since I visited with my last job - 8 years ago!! Time flies! Do they still do brilliant afternoon tea? Thanks for linking up with #daysoutwithatoddler! I don't think they still service afternoon tea but they do serve yummy cakes! This place is on our bucket list for this year - might wait until the weather is a bit warmer though! Brrrr!! 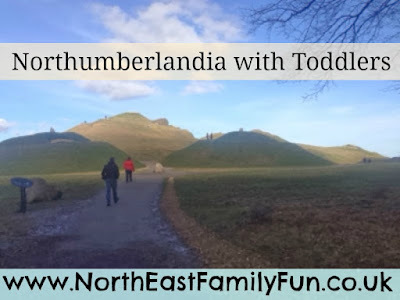 I hadn't come across Northumberlandia buy sounds like another to go on my list when I finally make that trip north. Gorgeous blue skies too.